Village stalwart Joe Jr's has lost its lease and may close on Sunday. 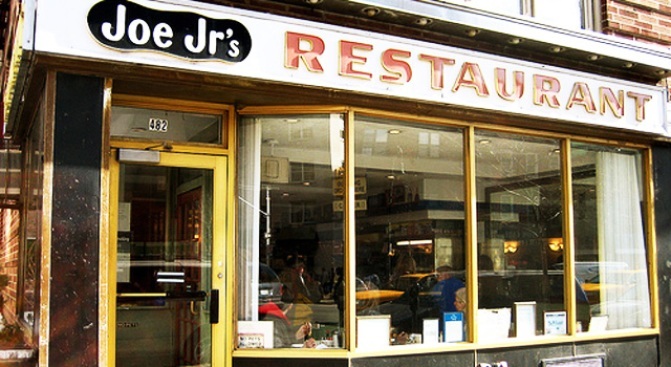 Just the other day we waltzed by Joe Jr.’s, diner of diners on 6th Avenue in the Village, and thought to ourselves, as long as we can get a chicken salad sandwich at Joe's and watch the world go by through those blinds, there’s hope for the city yet. But Joe’s may sling its last round of hash browns in just two days. Reports of big handwritten signs taped in in the window, claiming a lost lease and begging for petition signatures, have made their way to Grub Street. As the blog notes, Joe’s pulled off a stay of execution once before (in 1994); let’s hope things go Joe’s way again.